Thanks for pointing out that you shouldn’t rely on disaster assistance because they only pay in declared disaster areas. 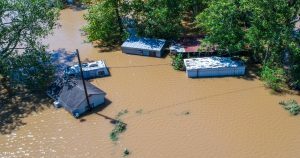 My husband and I just moved to a new home, and we’ve been deciding if we should get flood insurance of not. I wasn’t aware that disaster assistance is carefully zoned and only pays about a sixth of the average flood claim. I appreciate you sharing these reasons to get flood insurance!